We are delighted to announce that our first craft market of 2018 will be at the St.Mary’s Church. This Sheffield Maker’s Fair is curated by the Sheffield ETSY Sheffield Team. Takaracrafts have a lot of new stuff on offer including some framed artworks and newly designed textile jewellery. You will be impressed by us. 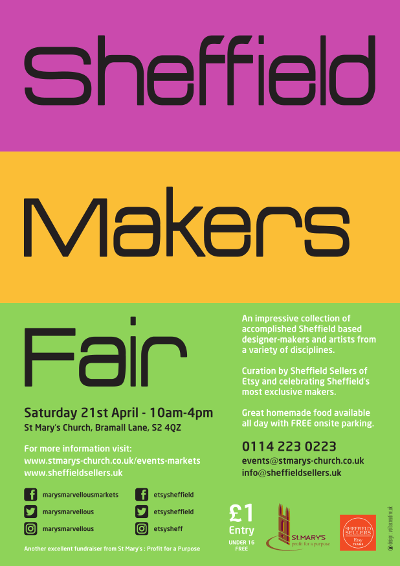 It is also a good chance to see many talented Sheffield maker’s work. Pleaese feel free to come and join us on the 21st April 2018.